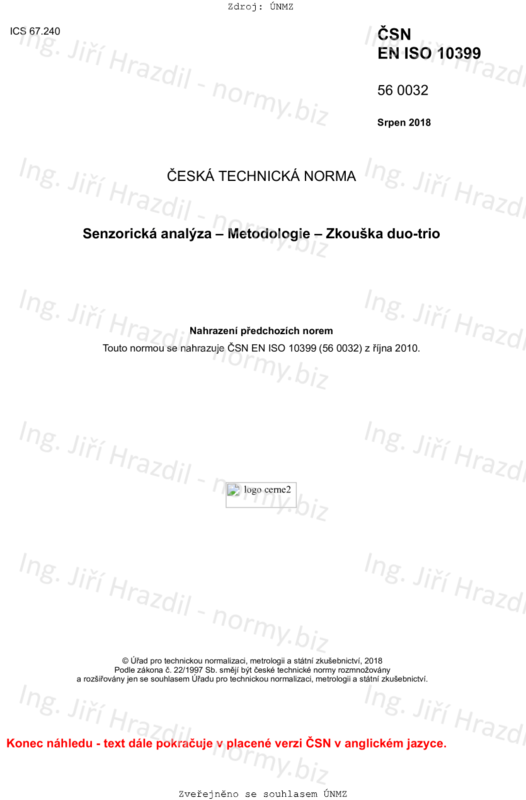 This document specifies a procedure for determining whether a perceptible sensory difference or similarity exists between samples of two products. The method is a forced-choice procedure. The method is applicable whether a difference exists in a single sensory attribute or in several attributes. The method is statistically less efficient than the triangle test (described in ISO 4120) but is easier to perform by the assessors. The method is applicable even when the nature of the difference is unknown (i.e. it determines neither the size nor the direction of difference between samples, nor is there any indication of the attribute(s) responsible for the difference). The method is applicable only if the products are fairly homogeneous. b) for selecting, training and monitoring assessors. - the balanced-reference technique, used when one product is not more familiar than the other.